Most people have a to-do list consisting of chores and obligations that they need to get out of the way before they can relax and enjoy themselves. 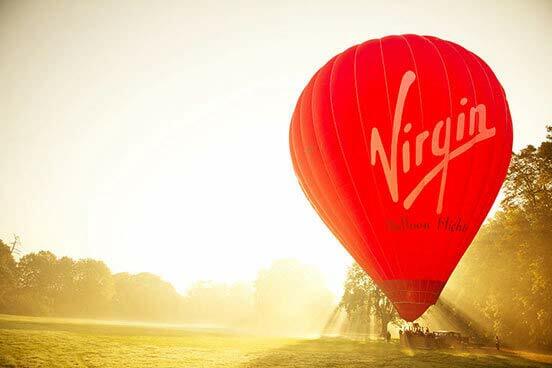 Why not put that to-do list to one side for a while and take on one of our "Once in a Lifetime" experiences? 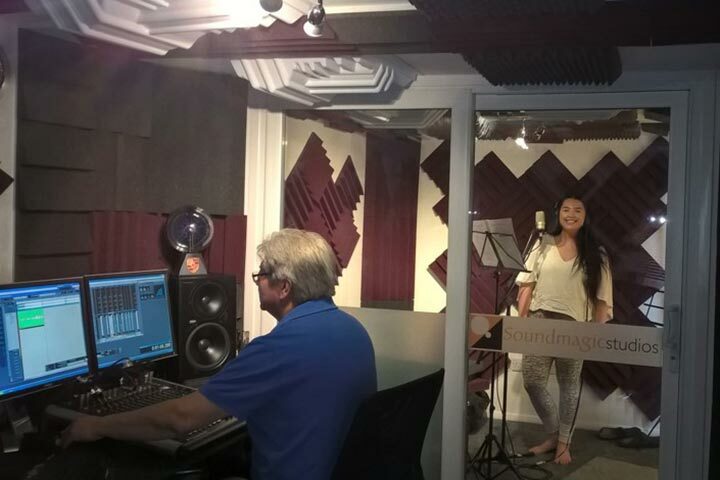 This choice box includes a number of specially selected experiences designed to encourage people to try something new. Ever dreamed of being a train driver for the day? Or a Rockstar? Our Once in a Lifetime box has got you covered. There are also a number of experiences which are perfect for anyone who is celebrating a milestone birthday or marking a special occasion. With over 120 locations across the UK, this choice box includes a range of activities designed to appeal to adventurers and explorers as well as those who simply want to experience the finer things in life. Enjoy quality time together on this romantic escape. Stand together with your heads in the clouds and witness breath-taking, panoramic views over the whole of London from the top of the tallest tower in Western Europe. Piercing the skies above London, The Shard has quickly become a towering and iconic symbol amongst the city landscape. Standing a colossal height of 1,016 feet (310 meters) tall, The Shard, with its dramatic glass splinter-like form, has redefined the Capital’s skyline with its unique design. The Shard will give you the opportunity to see London like never before. 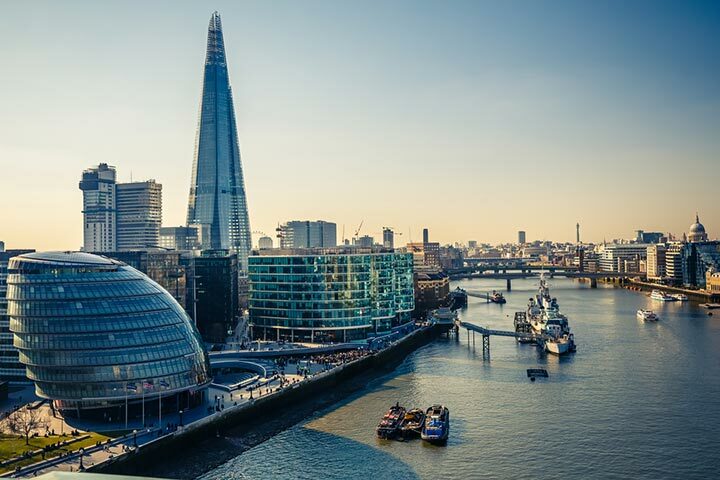 Take in unobstructed views of London’s most famous sights including Tower Bridge, the Tower of London, the Gherkin, the London Eye, St. Paul’s Cathedral, Big Ben and the Houses of Parliament. The visits start at ground level, as you step into the super-smooth kaleidoscopic lift and travel at high-speed up to the triple-height viewing platform on level 69. From here you can explore the sweeping views, set out on three spacious levels, with floor-to-ceiling windows on every side of the building to allow visitors the chance to gaze out at landmarks up to 40 miles away. Walk all the way around floors 68 and 69, before heading up to the open-air Skydeck on level 72 - a viewing platform offering 360-degree views across the capital and beyond from a vantage point 802 feet (244 metres) above street level, where you can both enjoy a glass of champagne and gaze up to the very top of the building as the shards of glass that form the spire disappear into the sky. Exposed to the elements, you can take in the atmosphere and sounds of the bustling city below, before returning back to the ground floor. State-of-the-art interactive touchscreen telescopes enable you to explore the views in greater detail, with information about 200 landmarks and alternative day, night, sunrise and sunset filters. The Shard’s team of knowledgeable Guest Ambassadors are on hand to answer any questions you have and will help bring the view to life. This is a one-night stay for two people, including breakfast at a premium London hotel, entrance to ‘View from The Shard’ a glass of Champagne each and audio guides in eleven languages. Your Entrance to the Shard is a fully flexible ticket. This means that you do not need to advise a time for your visit to the Shard, you are free to visit at any time on the date you have selected. At very busy times, you may encounter a short wait before entering. The hotel choice will depend on availability and when you wish to book, hotels included are DoubleTree by Hilton London Ealing, DoubleTree by Hilton London Docklands Riverside or similar. This break and experience is available Monday to Sunday, throughout the year excluding New Years Eve. This is a one night stay for two people with breakfast including an attraction. Take in stunning and unrivalled views of London with this romantic getaway. 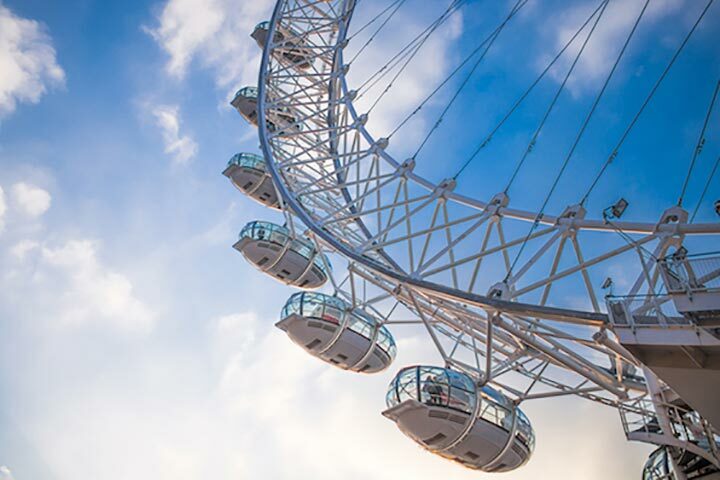 Stay at a premium London hotel whilst taking in the spectacular views by day or night from the world tallest cantilevered wheel. Your Coca-Cola London eye experience offers an extra sparkle and includes a glass of Pommery Brut champagne served by your host and a 360-degree mini-guide while you relax and enjoy sublime panoramic view of London. At 135 metres, the Coca-Cola London Eye is the world’s tallest cantilevered wheel, with 40-kilometre panoramic views on a clear day. The gradual experience in one of the 32 high-tech glass capsules takes approximately 30 minutes. Night or day the Coca-Cola London Eye offers spectacular views of London and its famous landmarks such as Big Ben, Buckingham Palace, St Pauls Cathedral, Westminster Abbey and Trafalgar Square. 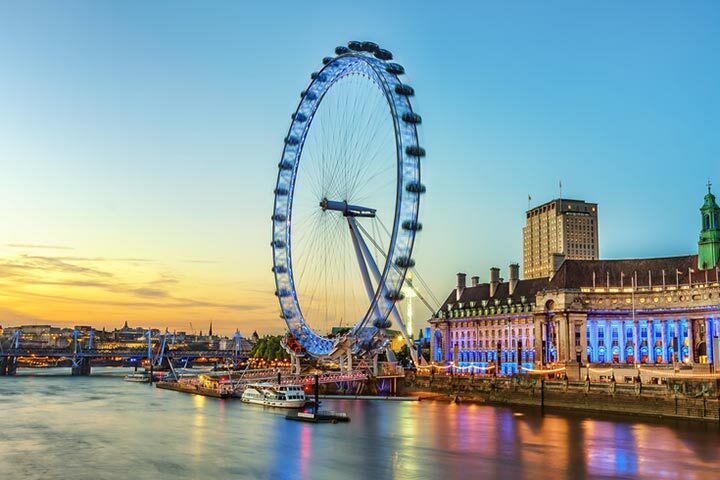 This is a one night stay for two people, including breakfast at a premium London hotel plus priority fast track boarding and Champagne experience on the Coca-Cola London Eye. The experience on the Coca-Cola London Eye lasts approximately 30 minutes, the time it takes the Coca-Cola London Eye to revolve completely. If you wish to see the new 4D Experience before your flight, we recommend you check in 45 minutes before your experience time. 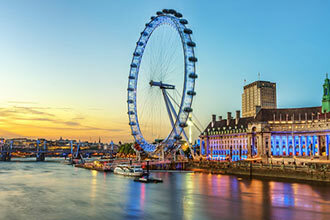 This is a one night stay for two people with breakfast including a London Eye experience. Spend the day on the Ecclesbourne Valley Railway learning about and trying your hand at the operation of heritage diesel trains in a group with one of our friendly drivers. One of our experienced drivers will introduce you to railway operations in the morning and you will take it in turns to drive the 18 mile return journey between Wirksworth in the Derbyshire Peak District and Duffield just north of Derby, in a 1950s heritage Diesel Railcar. Guests can ride in the passenger saloon and take in the beautiful views of the countryside whilst you’re driving. Lunch will then be served in our Pullman Buffet at Wirksworth Station for yourself and one guest and additional guests may purchase off the menu. The afternoon allows you opportunity to get to grips with a large main line heritage diesel locomotive as you do the 18 mile return journey once more taking it in turns with your fellow experience guests. A Guard's brake van is normally attached so that guests can ride behind the locomotive whilst you're driving, they can stand on the veranda whilst you’re going along in summer or have the wood-burning stove lit to keep warm in w inter! This experience will last for approximately 6 hours. You must be able to climb in and out of the locomotive from ground level. You are able to bring spectators on the day. For some people, driving is more than a means to get them from A to B. It’s a chance to enjoy the feeling of harnessing the power of the internal combustion engine to transport them to wherever they wish to be and the ability to vary their speed at rates far exceeding those that the human body is designed to achieve. For them, there is a difference between simply ‘driving’ and ‘motoring’ with the latter involving a deeper appreciation of what it means to travel by car. 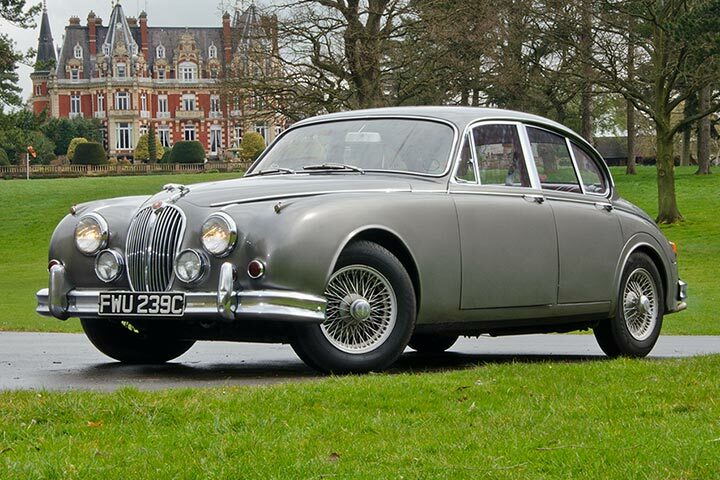 The chance to drive classic cars is one that any motoring fanatic will appreciate. For some, testing their capacity for speed on a purpose-built track is ideal, but for those who want to test a selection of cars in real-life conditions, several hours trying out a selection of vehicles on the open road is the perfect way to spend a day. This experience starts bright and early at 8.30 am with a warm welcome from one of the team who will provide guests with a tea or coffee and a warm bacon or sausage bap to provide them with enough energy to embark on their 8-hour-long driving adventure. 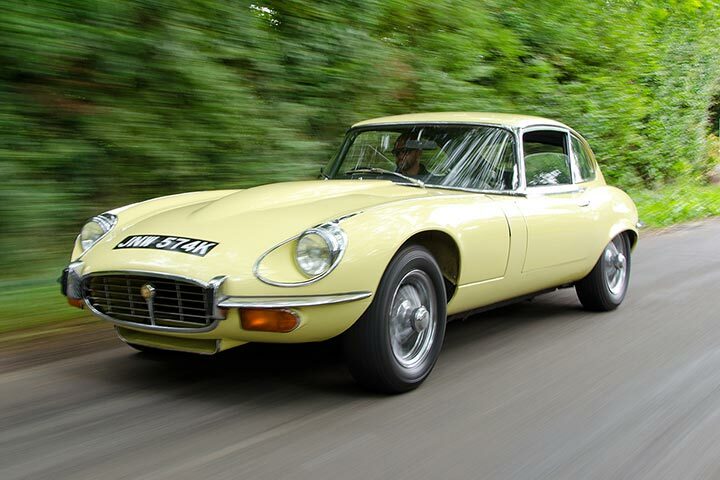 The day will include the chance to drive five different cars and includes a briefing on the controls of each car to ensure that drivers can make the most of their chance to explore the beautiful countryside in a selection of equally beautiful cars. There is a choice of iconic cars and drivers can check which they will be driving on the day: the instantly-recognisable Mini Cooper, the elegant E-type Jaguar, the sleekly sensational Jensen Interceptor, the beautifully designed MGB, the refined Jaguar Mk 2, the stylish Jaguar XJS, the classic Ford Capri, the time-honoured Morris Minor, or the ever-popular Porsche 911. Each car will be equipped with a sat nav and map to ensure that the driver can follow the routes with the most exquisite views. After approximately one hour in each of the first three cars, it’s time to stop for lunch which will usually be at a country pub or farm shop. Then, it’s time to head back in the final two cars of the day. This experience is perfect for anyone who enjoys motoring and would appreciate the chance to get behind the wheel of some of the most incredible cars around. A full UK driving licence is required with no more than 9 points. This will need to be presented on the day. This experience is for one person, you may be able to take a passenger along with you. Please check upon booking. At its steepest point, the walkway has an incline of 28° on the way up and 30° on the way back down and has a slight bounce to it to replicate the surface of the tent. There's a hand rail on the walkway and a balustrade on the observation platform. There is an observation platform at the summit where you can take in spectacular 360° views of London and its many landmarks. Once on the platform you will be able to move freely to enjoy the views before your descent. At all other times, you'll be attached to the climb system on the walkway to keep you safe and your Climb Guide will be nearby to help you and answer any questions. 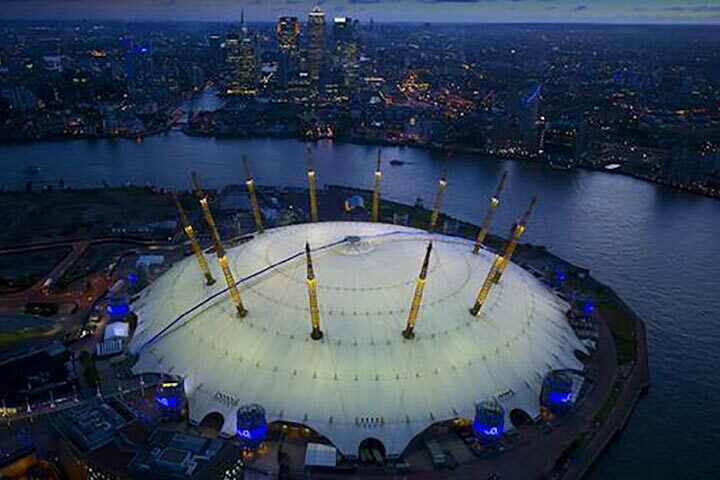 This is a one-night stay for two people, including breakfast at a premium London hotel, plus tickets for the Up at The O2 experience. This break and experience is available Monday to Friday, throughout the year excluding New Years Eve. The minimum height 1.2m (3ft 93in). Max weight 133kg (21 stone). Maximum measurements: maximum waist measurement 125cm, maximum upper thigh measurement 75cm. 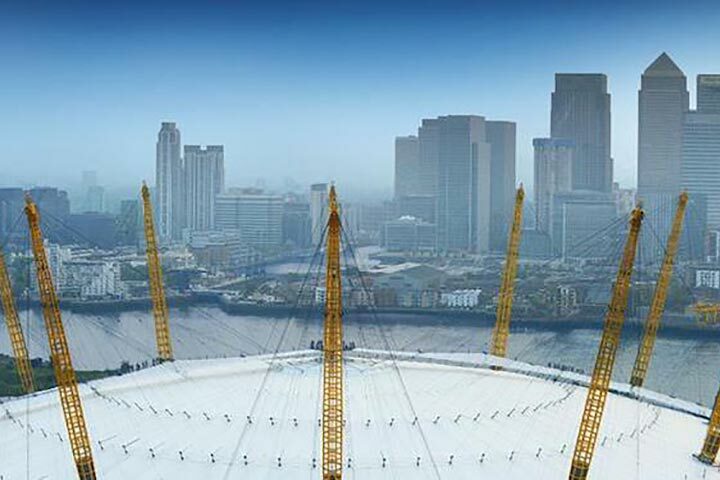 Up at The O2 is not suitable for pregnant customers. Soar through the skies with this exciting Helicopter Flying Lesson, where you’ll spend 30 thrilling minutes in the air. 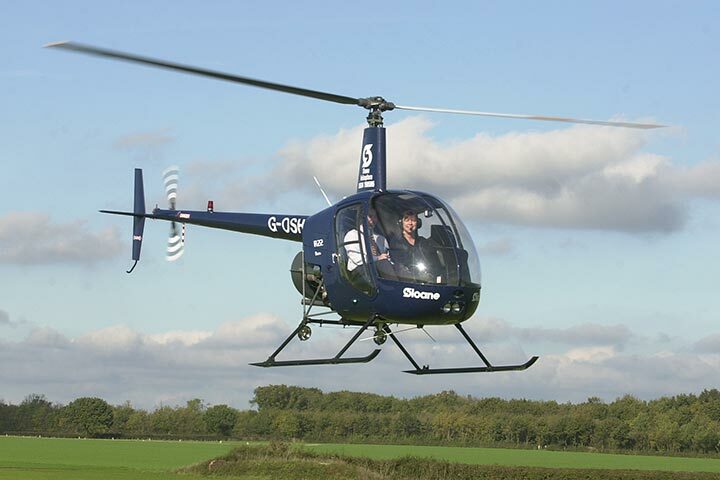 If you’ve ever wanted to learn how to fly a helicopter, then this flying experience is for you. See the world from a completely fresh perspective as you hop on board and take over the controls for an exhilarating flight at heights usually reserved for the birds. On the day, your helicopter lesson will begin with a safety briefing from our expert flying instructor. They’ll take you through the cockpit controls, explain the on-board technology and talk you through everything else you need to know before you pilot your first flight. Then it’s time to buckle up for take-off. With the flying instructor at the helm, he’ll cruise the helicopter to a steady altitude before it’s time for you take over. 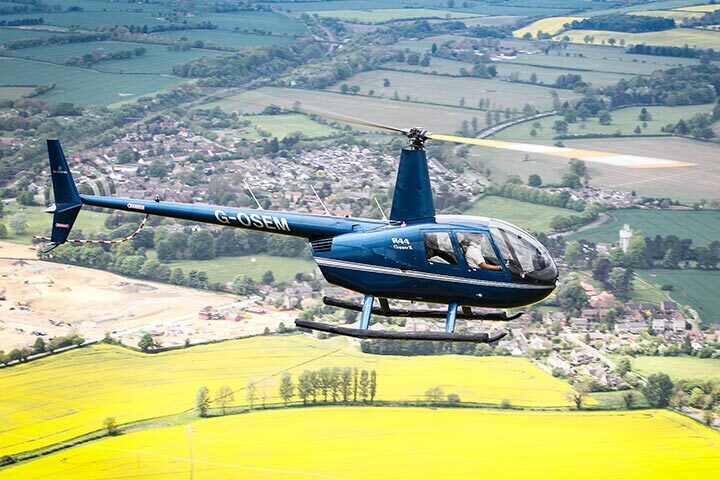 Typically, your lesson will take place in a dual control Robinson R22 helicopter, which has two seats – one for you and one for your flying instructor, who’ll be watching carefully. Safety is our number one priority. Even when you’ve safely landed with two feet firmly on the ground, your head will be in the clouds for days after this adrenaline-pumping helicopter experience. Your experience will last approximately 1 hour and you'll be up in the air for 25-30 minutes. 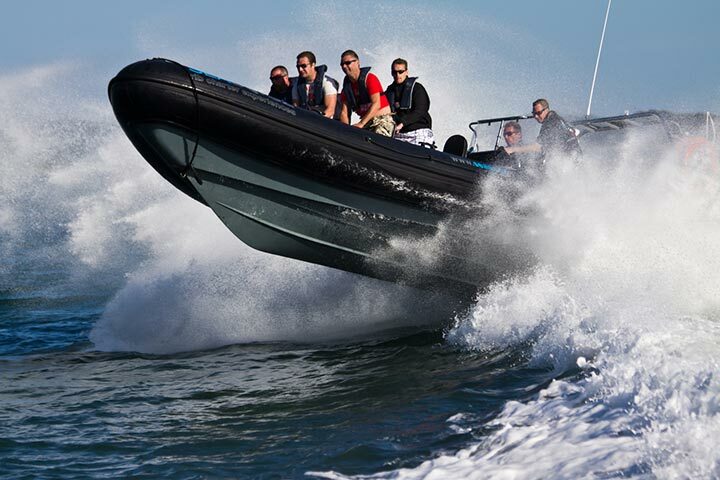 This is a fun filled short break in the capital with a full-on, adrenaline-fuelled ride of your life on a tip-top RIB jet boat. The skippers will show you just what these babies will do so you'd better be ready for some serious waterborne action. 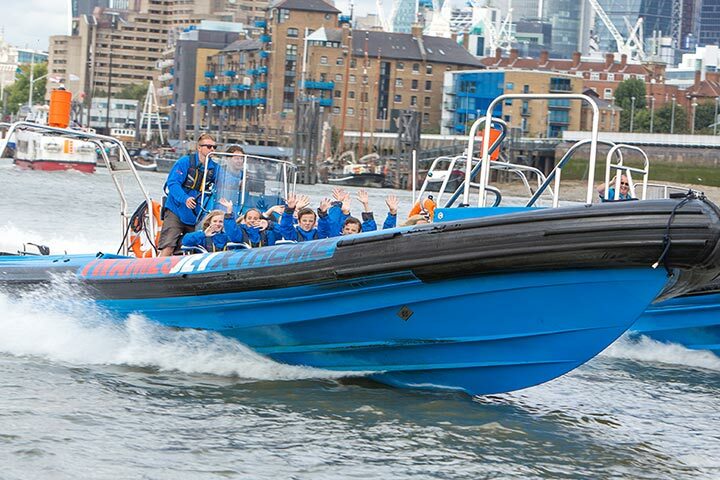 These rides deliver top sights and the ultimate high-speed speedboat experience on the Thames. Thames rush, which starts at Westminster Pier, heads down-river on the riverside landmarks, then as we pass beyond Tower Bridge it's full on pedal to the metal. Thames max, which also starts at Westminster but then after Tower Bridge takes you for a full-on blast to the Thames Barrier, though you do slow momentarily as you pass Greenwich for you to catch your breath and take in the view! This is a one-night stay for two people, including breakfast at a premium London hotel and tickets for a high speed Thamesjet experience. There is no minimum age, under 16's need to be accompanied by an adult. 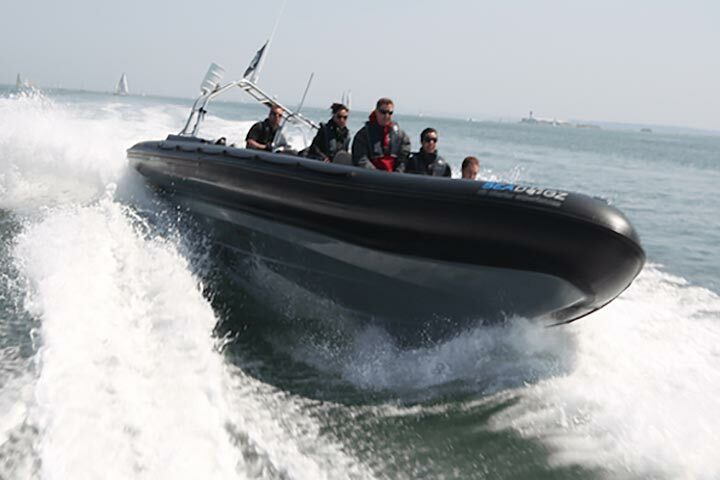 The minimum height for the Thamesjet is 1.3m (4ft 5in). Children under the minimum height requirement of 1.35 metres (4 ft. 5in.) and/or less than 25kgs in weight are not eligible to travel on Thamesjet. Sit tight, hold on and be prepared to get wet! Starting out in Ocean Village the two RIBs will leave together as they exit the Marina heading out into the Solent. Once you are out of the speed restrictions the battle will begin! The two boats will compete to impress you, with high speed turns, figures of 8, donuts, and close encounters. Heading towards the Central Solent , you will pass the famous Hamble River, and Calshot Castle. Battle it out in this exciting adventure - you decide who wins! This is a one-night stay for two people, including breakfast at a premium Southampton hotel, including a 90-minute SeaDogz Battle of the boats experience and three course meal at Bella Italia. This break and experience is available on selected weekend and weekday dates subject to availability, between March - October. This is a one night stay for two people with breakfast including a battle of the boats experience. The minimum age is 8, but they must be able to hold themselves on a jockey seat. There are no formal height restrictions but in order to reach the floor whilst seated on the ‘jockey seat’ participants should have an inside leg measurement of 24 inches or more. The maximum weight is 114.3kg (18st). You must be physically fit. Not suitable for pregnant ladies or people with bad backs or necks. Any medical conditions must be notified to the operator on booking. Under 18s must be accompanied by a participating adult. Engage with nature while spending some time together with this two night break in one of the UK’s finest woods. Located just a 2 minute leafy walk away from the main farm, Badger’s Wood is an ideal location for those looking for a unique getaway. Wildlife is in abundance with regular sightings of wild badgers, foxes, buzzards and owls amongst other bird life. Take your binoculars while you relax in the warm bubbles of the hot tub, you might spot a furry friend! Escape to this hideaway in the woods for your two night stay with entrance to Hoo Farm. 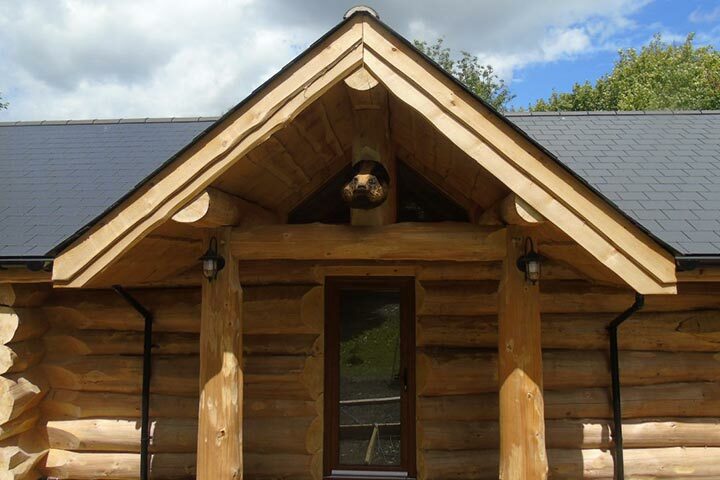 You will stay in their luxury log cabin with traditional timber cladding, vaulted ceilings and wooden beams. 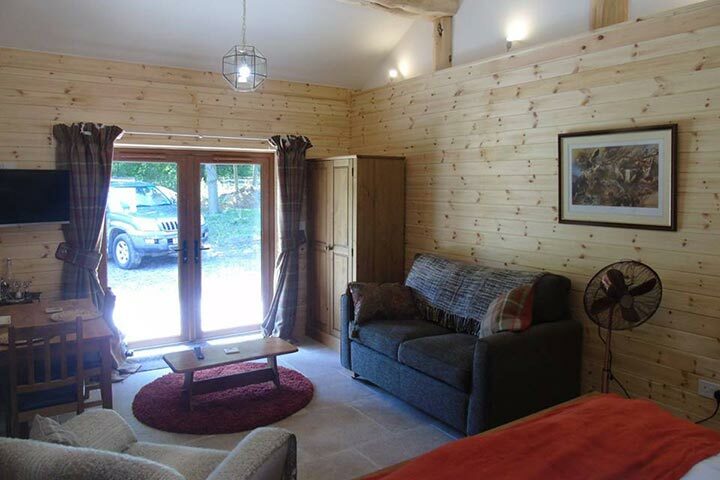 This self-catering cabin is open-plan, with a bedroom and living area, bathroom, and kitchen. Feel free to stock up the fridge with as much food as you need to hunker down, snuggle up and relax in your own secluded getaway. If you would like a little relaxation following a long day on Hoo Farm, retreat to the extensive wooded garden and enjoy a long soak in the hot tub, or get the barbecue started for dinner.